What is School for Prophecy? 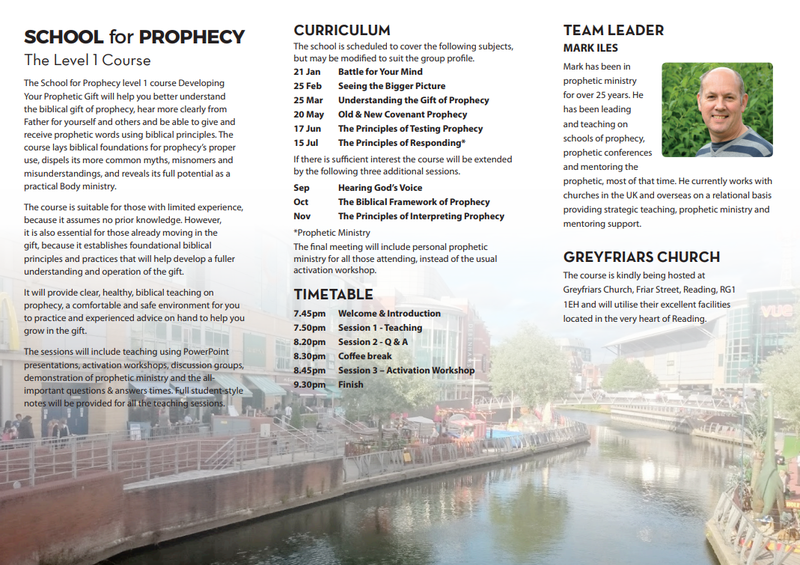 School for Prophecy is the prophetic training ministry developed and led by Mark Iles with the ambitious objective of helping the wider Church to be able to comfortably, confidently and correctly hear from God and powerfully move in the biblical gift of prophecy. Its birth can be traced back to his first meeting with Graham Cooke in 1996 and the many years he worked and travelled with him during his time at Southampton. After Graham moved to America Mark developed the School for Prophecy concept initially through the P.R.I.S.M. 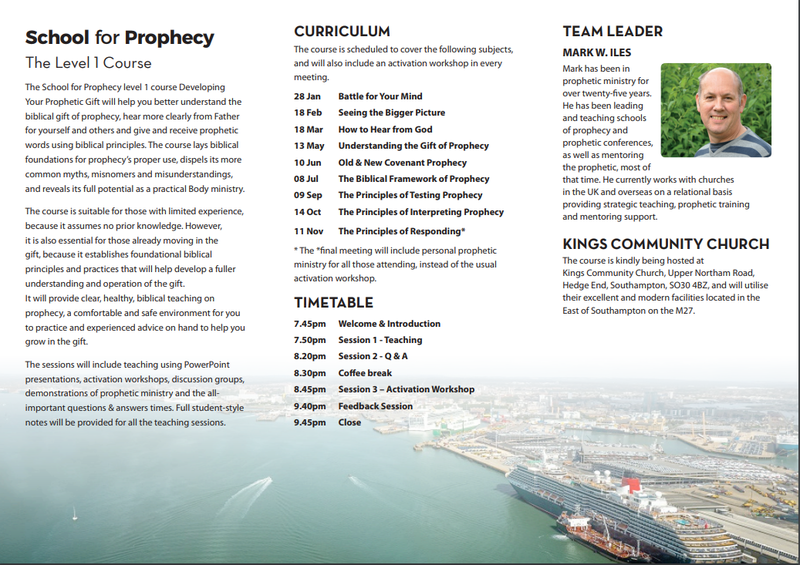 Training [Prophetic Resources Inspiring Spiritual Maturity] prophetic team. This developed significantly when he left his career job in 2006 and moved full time into strategic consultancy, prophetic training and conferences, and mentoring services. Currently a growing team is working with him to expand the scope and locations of the School for Prophecy. 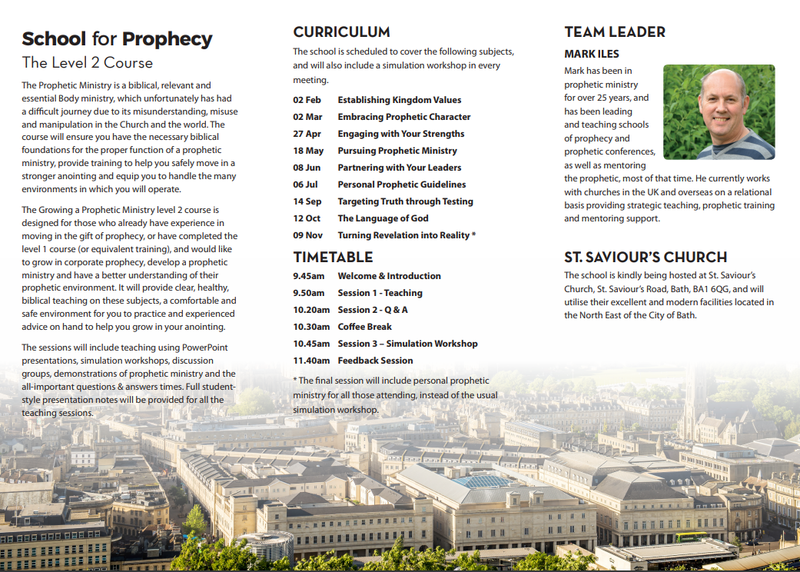 Mark’s current major project is to write and publish the School for Prophecy level 2 course Growing a Prophetic Ministry training manual in the same format as the School for prophecy level 1 course Developing Your Prophetic Gift training manual.